AAVIN Recruitment 2019: Tiruchirappalli & Thiruvallur District Co-operative Milk Producers’ Union Limited has invited offline applications from eligible candidates. 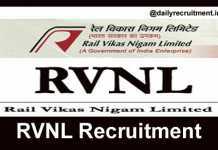 Recently AAVIN has released the recruitment notification for following posts Manager, Dy. Manager, Senior Factory Assistant & Driver. As per the Tamil Nadu AAVIN Milk recruitment 2019 notification, AAVIN allocates overall 15 vacancies for above posts. Applicants who are seeking Tamilnadu government jobs kindly download the TN AAVIN Milk application form 2019 from official website and send the application through Speed/ Registered post. The last date to submit the offline application is 22.02.2019 & 04.03.2019. Candidate must have possessed VIII/ +2/ Graduate/ engineering in relevant disciplines from recognized board or university. Applicants should have attained the prescribed age limit and relaxation. AAVIN will select the aspirants on the basis of written test and oral test. After that selected candidates will be appointed at Chennai, Kancheepuram, Thiruvallur & Trichy Districts. Contenders must pay the required fee through Demand Draft. Applications received after the due date or incomplete applications will be rejected. More AAVIN jobs 2019, job vacancy, merit list, call letter, result and AAVIN careers. AAVIN is the trademark of Tamil Nadu Co-operative milk producers limited. Their main purpose is to sell milk and milk products in Tamil Nadu. In the word AAVIN, AA refers cow. Tamil Nadu Cooperative Milk Producers Federation Limited, formerly referred as Dairy Development Department. It has been operating since 1958. Head quarter is located at Aavin Illam, Madhavaram Milk Colony, Chennai until now. Aavin Produces four varieties of milk based on fat percent. They produce products such as milk khoa, mysorepak, gulab jamun, khalakand, butter milk, lassi, curd yoghurt and ice-creams. Currently 17 district cooperative milk producers union in Tamil Nadu, there are Tiruvallur Kancheepuram, Salem, Vellore, Dharmapuri, Erode, Trichy, Thanjavur, Madurai, Dindigul, Coimabatore, Niligris, Pudukottai, Sivagangai, Kanyakumari, Tirunelveli, Virudhunagar. You may visit AAVIN website to get more details about this recruitment. Here you can get information like educational qualification, age limit, selection process, application mode, fee and how to apply. 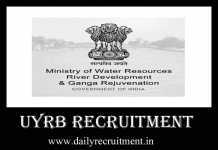 Keep check our website dailyrecruitment.in regularly to get latest updates. As per the notification, AAVIN allocates overall 24 vacancies for this recruitment. DCMPU wise vacancy details & pay scale details are given below. 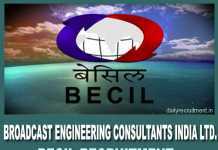 Candidate must have possessed VIII/ +2/ Graduate/ ITI/ Engineering in relevant disciplines from recognized board or university. AAVIN will select the aspirants on the basis of written test and oral test. No fee for SC/ ST/ SCA candidates. Applicants should submit offline applications only. Go to official website aavinmilk.com. Click “Employment notification” then find the advertisement for above said posts. Click on the advertisement, notification will open read it and check the eligibility. To download the application form click ”To download the Application form and Guidelines click here” fill up the form correctly. Finally send the application to given postal address before the last date ends. AAVIN Recruitment 2019: AAVIN-Erode District Cooperative Milk Producers’ Union Limited is going to recruit the young and talented aspirants for Marketing Executives posts. 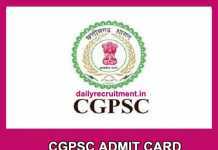 Recently Erode DCMPU has announced the recruitment advertisement for above said posts. There are many number of vacancies are allotted for this recruitment. AAVIN has planned to conduct the interview at Erode DCMPU for selection of suitable aspirants. Applicants who are seeking government jobs in Tamilnadu may attend the walk in interview on 13.02.2019. AAVIN recruitment notification is available in official website. This engagement is purely based on contract basis. AAVIN will select the aspirants on the basis of their performance in interview and interview details are given below. Aspirants must be a MBA graduate from recognized university. Applicants should be a local Resident and should have two wheeler & cell phone. Aspirants must be a MBA graduate from recognized university. Candidate maximum age should be 35 years. More details of AAVIN jobs, upcoming vacancies, merit list, interview date, interview questions, upcoming notices and etc. will be updated on official website. You may visit aavinmilk.com Website to get more details about this recruitment. Here you will get information like educational qualification, age limit, walk in interview details and how to attend the interview. Keep check dailyrecruitment.in regularly to get latest updates. Aspirants must be a MBA graduate from recognized university. AAVIN will select the aspirants on the basis of their performance in interview. Then you may attend the interview at prescribed venue. AAVIN Recruitment 2019: Kanyakumari District Co-operative Milk Producers’ Union Ltd. has invites offline applications from eligible candidates. Recently AAVIN has released the recruitment notification for following post Technician (Lab). 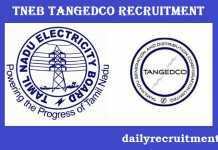 As per the Tamil Nadu AAVIN Milk recruitment 2019 notification, AAVIN allocates particularly 01 vacancy for above post. Applicants who are seeking Tamilnadu Government Jobs kindly download the TN AAVIN Milk application form from official website and send the application through Speed/ Registered post to prescribed address. The last date to submit the offline application is 11.02.2019. Candidate must have possessed SSLC/ Diploma in lab Technician from recognized board or institutes. Applicants should have attained the prescribed age limit and relaxation. AAVIN will select the aspirants on the basis of merit list and oral test. After that selected candidates will be appointed at Nagercoil, Tamilnadu. Applicants should possess and adequate knowledge in Tamil. Applications received after the due date or incomplete applications will be rejected. More AAVIN jobs 2019, job vacancy, merit list, selection list, result, call letter and job openings in AAVIN details are available in AAVIN careers. You may visit AAVIN website to get more details about this recruitment. Here you can get information like educational qualification, age limit, selection process, application mode and how to apply. Keep check our website dailyrecruitment.in regularly to get latest updates. Candidate must have possessed SSLC/ Diploma in lab Technician from recognized board or institutes. Applicants should have minimum 18 years and maximum 30 years. Aspirants will be selected on the basis of merit list and oral test. YOU GO TO PUT APPLICATION 1ST. Now I’m stay in nagercoil. I am Nagarajan. I have completed the B.sc (microbiology) and Dmlt (1yr). I am in madurai any requirements +2 pass age 38 (female) please tel me sir. Hi sir, i am Arockia ajith, I am complete in diploma electrical and electronic engineering..
Sir i am studying MBA final year.So that i need job from the production company.My mobile no.834482…. I am CR Kalyane, I have completed MBA (marketing and HR).I need the job. Please guide further. Hi sir .i am sultan alaudheen .I have completed bsc hotel management.i like to aavin jop sir pls contact my number 9944859872. I have 10yrs experience in sheet metal fabricator company I need job in surrounding Chennai. Comment:Madurai Aavi jobs plz inform me. I have interested this job my district erode in the district vacancy not match my qualification. I would like to service in your concern. Dear Sir / Mam, I am C.K. Bharathi from chennai, now am working shriramcity union finance ltd., am finished my B.com, I am looking forward to work in your organisation. Sir, I will complete in b.sc (chemistry). You must have in study related in work for me sir. Sir, iam Senthilkumar from Madurai, Sir plz inform trichi district court OA interview date plz plz Sir…..
Am complet my (b. Sc) hotel management in (madras institute of Hotel management) if you have any requment ..Pls contact me. iam complete B.B.A at P.K.R Arts college for women with accrecated of 75 % and iam also complete D.COP degree at Erode co operative management institution, chitode. now i need a job if any job vacancy to make call on 9080790975..pls. Sir I am vaishak I completed diploma in mechanical engineering. Now I need a job in similar field in government . get me a contact for this number 9489887…. I am Dairy technologist and a dairy microbiologist. I have an experience of 20 years in dairy in fruit juice and drinks as a QA person. I was even heading the R& D deptt . If any senior position is vacant then kindly let me know . I am Dairy technologist and a dairy microbiologist. I have an experience of 20 years in dairy in fruit juice and drinks as a QA person. I was even heading the R& D dept . If any senior position is vacant then kindly let me know . I have completed B.E CSE and age 26..
Hi sir.. I am veera, I have completed BE civil engineering don’t have experience but good confidence you thrust me call me.. Mob no:9025797937 thanku.